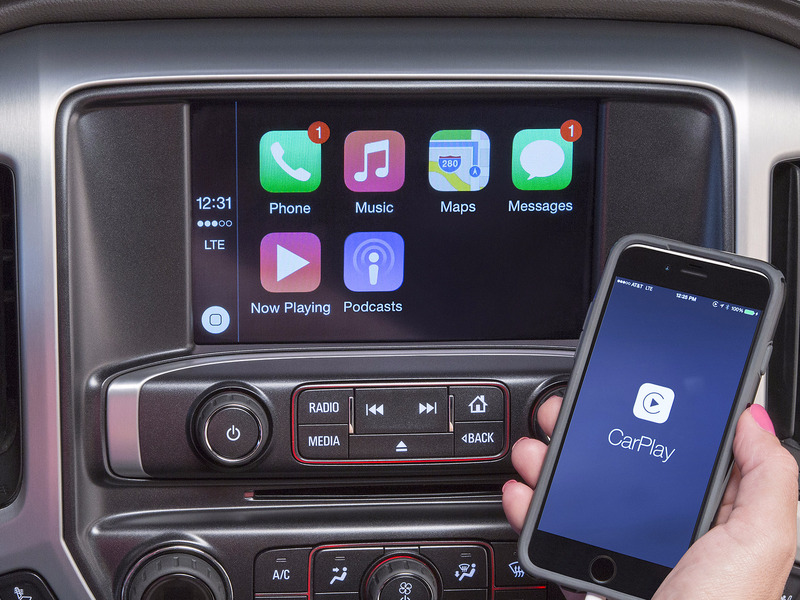 GMCApple CarPlay is just one technology that allows for data collection in cars. With all this going on, it’s easy to lose sight of a much bigger battle that’s shaping up over the future of mobility — the battle over data. In the good old days, cars collected effectively no data. If a mechanic found some rust, he could make assumptions about where the car had been and how it had be maintained. But vehicles are now rolling data-collection devices, with some — such as Tesla’s — beaming information back to headquarters on a steady basis, as well as communicating with each other, establishing a “fleet learning” paradigm. 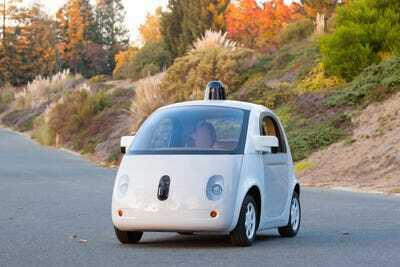 Google has gathered vast amounts of data on its self-driving car, but traditional automakers are also turning into huge information repositories. Executives are quick to point out that Fords, GMs, and Toyotas of the world are actually awash in data, about everything from navigation preferences to oil-change frequency. Bloomberg’s Tommaso Ebhardt and Eric Newcomer reported recently that Fiat is talks over a partnership with Uber — but embedded in the story was a healthy assumption. “Uber, which received a $3.5 billion investment from Saudi Arabia last week, offers access to a massive fleet of cars to gather data and help improve systems,” they wrote. Uber obviously owns the technology platform that undergirds its $60-billion-plus valuation, but for the most part, it doesn’t own the fleet of cars that makes that lofty valuation possible. Uber drivers do. In fact, automakers don’t own their fleets of cars, either. Essentially, most cars are owned either by individuals or by rental-car agencies and corporations or organisations, like local governments. Automakers have been tiptoeing around this issue. I’ve put the question to Ford CEO Mark Fields, who has the most diplomatic response, stressing that owners sharing data with Ford would be organised on an opt-in model. Ford has been quite forward-thinking about how it’s going to prosper as a “mobility company” in the 21st century, so Field’s share-your-data-and-get-something-for-it plan could be the one that takes hold throughout the industry. However, if data is as valuable as everyone seems to think it will be — the potential for selling it as research to marketing and advertising firms alone is vast — then smart owners aren’t going to be too happy about being cut out of the deals. You can see why this could turn into a pitched combat. If a car company or Uber makes millions or billions off my behaviour in my car, and all I’m left with at the end is a machine that’s ultimately headed for the junkyard, I’m going to feel profoundly shafted. It hasn’t been possible in the past to aggressively monetise what happens every single day after a car is bought or leased. Automakers have simply aimed to sell you another car or to get you to buy extended warranties, while dealers have hoped you’ll come in a few times a year for service. There’s already a titanic precedent for this, called social media. In exchange for access to various platforms, users have shown that they have happy to labour for Facebook, Instagram, Twitter and other for free. On the driving front, Waze needs drivers to contribute data about traffic to make the app work. GoogleIt drives itself — and collects vast amounts of data. But maybe car owners won’t be as receptive to this, given than cars are far more expensive than smartphones. It makes no economic sense for owners to take information they have generated and donate it to anyone. And the ownership of that information isn’t really much of an issue; the only wrinkle comes when you bring financing into the picture, because you don’t own 100% of a vehicle when you have an auto loan (at least not right away) and you don’t technically own any of it in a lease. Logically, car owners should be compensated for their data. And if you think about it, this is mind-bending. If you drive only the average amount in the US per year, about 20,000 miles, you’ll generate a massive amount of information. Last year, 17.5 million new cars and trucks were sold in the US alone. All of those vehicles have begun their slow march to the scrap heap, with values inevitably declining. But the data they generate over their lifetimes will be of continuing and probably even expanding worth, due to the power of large network effects. Ownership of property and the right to profit from assets is a pretty well-established feature of capitalist human life. And it’s alarmingly clear that automakers, Uber, and everyone else who isn’t a vehicle owner haven’t fully grappled with the implications of that basic fact.